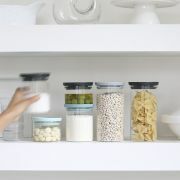 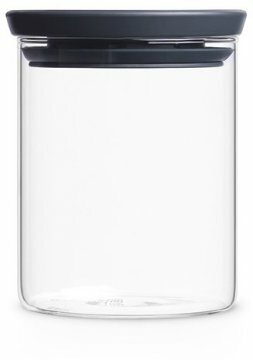 Fall in love with how ideal these stackable glass jars from Brabantia are for storing all kinds of cooking supplies. 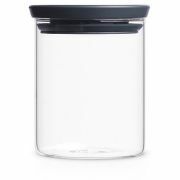 Three stackable glass jar sizes, 0.3, 0.6 and 1.1 litre. 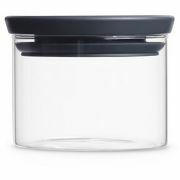 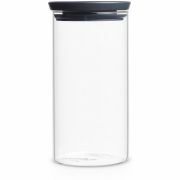 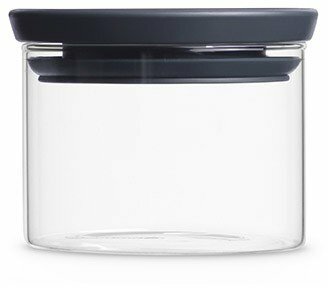 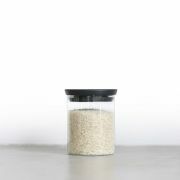 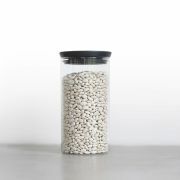 These jars allow your favourite food to stay fresh for longer thanks to the airtight closure, and they are easy to clean as well - both the canister and the lid are dishwasher-safe. 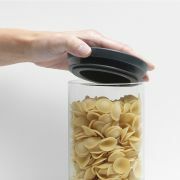 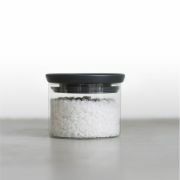 They are also practical, as the contents and stock are visible at a glance in a clear glass jar. 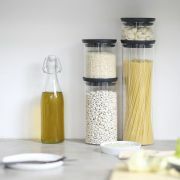 Stack and store!